Could You Be The Next Chairperson at Gold Hill Museum? Gold Hill Museum (owned by The Shaftesbury & District Historical Society) is looking for a Chairman. It’s a voluntary role, but Acting Chairman Elaine Barratt says that the right candidate could find the position highly fulfilling. “It’s a wonderful organisation to be Chairman of,” Elaine said. So you might be wondering why Elaine is so keen to pass on the leadership baton. 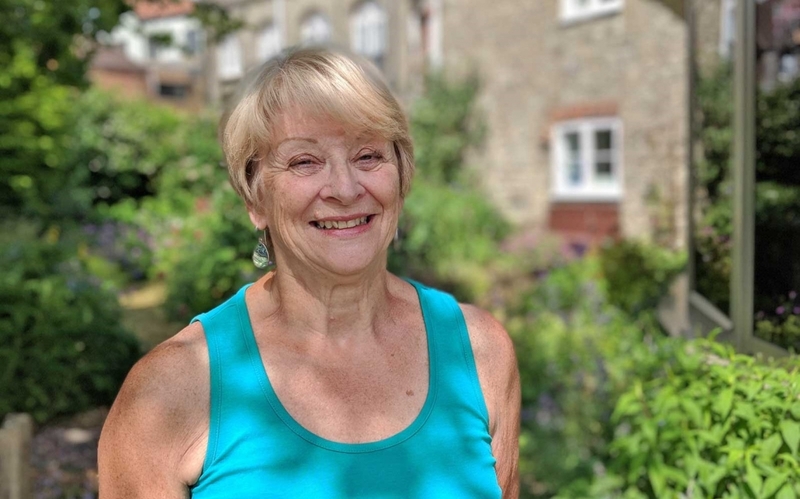 “I would love to be the permanent Chairman but I doubt I would have any luck in finding someone to take on the work that I do in my other museum roles,” Elaine explained. “I basically keep the museum open, arranging all of the volunteer shifts. I also manage the shop,” she added. If you were appointed Chairman, you would need to ensure that Gold Hill Museum remains compliant with the rules of The Arts Council for England and the Charities Commission – the organisations that it answers to. The successful applicant would be given advice on their responsibilities, of course. “You would need to prepare the meeting agenda, check minutes and ensure that the museum remained on track,” Elaine explained. She added that she would be particularly keen to hear from an applicant with marketing skills. So how much time would you need to commit? It seems it is one of those roles where you’ll get out what you put in. “The job is what you make of it, really. You could undertake an enormous amount of work if you wanted to,” said Elaine. “But in terms of what is necessary, I think two or three hours per week would be the level. The committee meets every second Wednesday of the month and those meetings take up to 2 hours,” Elaine offered. So what kind of person would make a good Chairman? Would the role suit somebody orderly, studious and happy to work alone? Or does the job require a people person? “You need to be a bit of both really,” said Elaine, “You certainly have to be organised. You do need to like people and to get on with your fellow trustees. We also have around 40 volunteer stewards. You need to be able to talk to them, encourage them and make them feel they are a valuable part of the organisation,” she cautioned. If you had little time for the Tudors or Tolpuddle Martyrs when you were in school, you could still be in the running for the role. “You don’t need to know much about history. I am ashamed to say that I had lived in the town for 40 years when I joined the museum in 2013. I gained so much knowledge afterwards,” Elaine said. Elaine says that Gold Hill Museum is not a ‘stuffy’ institution. “When I started as the volunteer coordinator, the stewards were middle-class, well spoken and a lot of them were very elderly. There were very few local people involved in the Museum. I wanted to change that. And I have. We have a lot more local people with a personal, local history. It brings a different dimension,” Elaine said. Gold Hill Museum is open daily during spring, summer and autumn. It closes for the winter but there is still work to do then. Elaine says that any successful applicant committed to maintaining the high level of satisfaction reported by visitors, will do well. “We have a happy team of volunteers that’s what the visitor book says. They are friendly and knowledgeable. People go away with the impression that this is a happy museum. That’s all I could really ask for,” Elaine said. If you are interested in applying for the Gold Hill Museum Chairman role, email chairman@goldhillmuseum.org.uk before their AGM on 17th July.